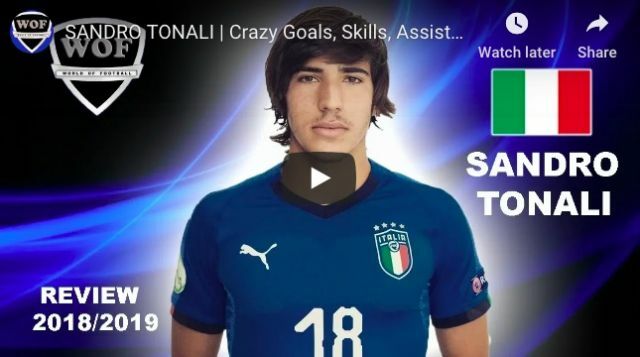 Liverpool are interested in Sandro Tonali, according to Italian journalist Nico Schira. Many fans will scoff at the reports because they’re not coming from Merseyside sources, but during the summer of 2018, all news of our transfer business was originally broken by foreign journalists and then picked up by the local ones – after the club tightened its policy following the original breakdown of the Virgil van Dijk deal in 2017. Tonali currently plays for Brescia in Serie B and has been likened to Andrea Pirlo because of his looks and on-field characteristics. He can play either as a no.6 or a no.8 and has a remarkable ability to thread creative passes into the paths of his team-mates. You can check out what style of footballer he is in the video below. Obviously, anyone can look good on YouTube, but it’s at least nice to get a feel of what kind of player Tonali is. He’s undeniably got serious talent, anyway.